Port Huron, MI - The Port Huron Prowlers are proud to welcome back team leading goal scorer and fan favorite Dalton Jay, who hails from Hamilton, Ontario, Canada. Jay played collegiate hockey at NCAA D3 school, Westfield State in Westfield, Massachusetts, where he finished a solid college career with 93 pts in 106 games. Jay is entering his third season of professional hockey and his second with the Prowlers. Jay spent his rookie season as a member of the Danbury Titans, where he posted a team leading 70 points for the team. 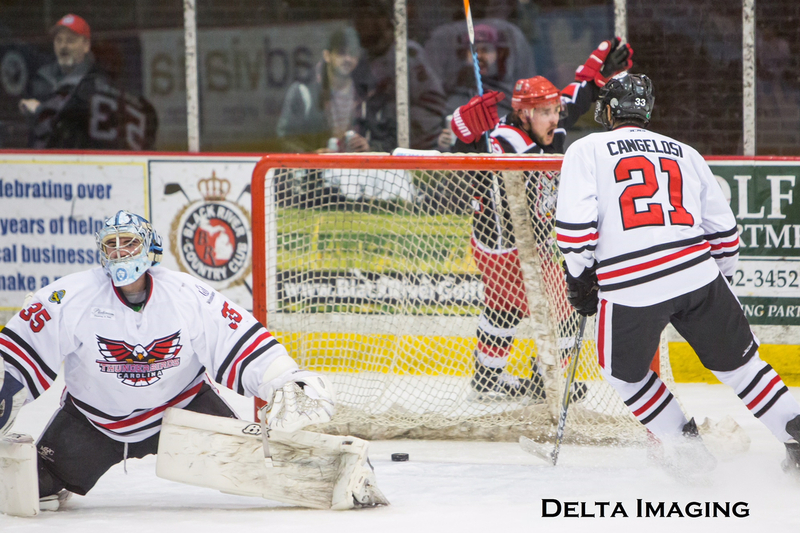 Last year Jay started with the new FHL franchise, the Carolina Thunderbirds, tallying 1 goal and 3 assists, before being a part of an early season trade that brought him to Port Huron. That trade would prove to be a beneficial one for the Prowlers, as Jay would go on to lead the team in goals for the season, totaling 37 for the year, while adding 25 assists with a +35 rating.